At Stroud Homes, we source the very best suppliers, trades and consultants to help build the homes our customers love. Our Sunshine Coast Builder Directory provides the general public with easier access to a list of home building professionals you can rely on. Blake Sign Co is a provider of high-level architectural signage based centrally on the Sunshine Coast, Qld. We are perfectly located to serve the greater South East Qld region as well as service the entire state and travel interstate to complete any installation required. Our business benefits from over 16 years of direct experience in the signage industry and in particular the construction, building development and architectural fields. 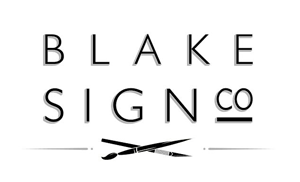 Our key focus at Blake Sign Co is to add VALUE to every single business dealing we encounter and believe in traditional business service and core values. We pride ourselves on attending to our clients’ needs in a very prompt fashion and it is our belief that the management and delivery of our product are just as important as the product itself. When the going gets tough, The Simons get going. Four generations have withstood the test of time; meeting challenges head-on by adapting to markets and customer needs. Our customers appreciate that we’re more than just a reliable supplier of high-quality Frames & Trusses but provide additional value by helping them to identify and manage risk. Our estimators and detailers are highly trained professionals, who often recognise problems, such as miscalculations or omissions, and then provide solutions to ensure the plans will work. This has often saved builders and tradies embarrassment, time and money. Safeguard Pest Control is a family owned and operated Pest Management business servicing the Sunshine Coast since 1989. Our services are carried out to the highest standards and we are leaders in providing termite and pest control solutions to give you peace of mind and to protect you and your investment. We have proven pest management solutions and we will offer you the latest technology in maintaining a pest free environment. Properties we service are; residential, commercial, industrial, body corporate community schemes, real estate and property managers. At Safeguard Pest Control our Honesty and Integrity is assured and your satisfaction is guaranteed. We are fully licensed and insured. Structerre Consulting Engineers is a multi-disciplinary engineering consultancy that focuses on the success and fulfilment of our Clients and Employees. Our specialist disciplines include structural, geotechnical and civil engineering, energy assessments, structural inspections and modular designs, for residential, commercial and industrial markets. Our highly trained professionals in WA, QLD, NSW and VIC work closely with our clients and their chosen consultants and contractors. We have a reputation for providing innovative, sustainable and cost-effective solutions that are relied upon by our clients. We make understanding your business our business, so we can provide you with an excellent service, From the Ground Up. Cutting Edge Cabinets are based out of South-East Queensland and have found success in delivering beautiful kitchens & bathrooms, exemplary service and a great price. Ingenuity, passion and open communication ensure clients of Cutting Edge Cabinets are not only happy with their cabinetry but in-love. We ensure our clients are kept updated on their cabinetry’s progress because we understand what many don’t – kitchens & bathrooms turn houses into homes, and we take that very seriously! With a team of professionals who share over 300 years of industry experience, when you need reliability, honesty, integrity & great quality at a fair price, there is only one name to remember – Cutting Edge Cabinets. Dent Out is a locally owned and operated paint-less dent repair business, established on the Sunshine Coast in 2002. With over 20 years experience in the motor industry Dent Out specialises in hail damage removal and minor dent repairs that don’t require paintwork. Providing a professional service of high quality, cost-effective paint-less car dent repairs. Steeline Roofin Spot was founded by Robert and Diann Buchbach in 1982 and remains a fam­ily owned business to this day, with his daughter Kim Ryan and her husband Patrick Ryan managing the company. We are a growing company and employ over fifty (50) staff and utilise only local subcontractors ensuring that everything you spend stays within your local community. Over the past thirty years, we have expanded the Company’s service area to cover from north­ern New South Wales to central Queensland. Our head office and main manufacturing plant are based in Bundaberg and we have branches in Gladstone, Hervey Bay, Gympie, Sunshine Coast and Lismore. For over 10 years now we have been a member of the Steeline group. Steeline has become a strong force within the industry and is now recognized as being within the top five (5) major suppliers within the marketplace today. Much of Steeline’s success can be attributed to the dedication of the business owners and the relationships that we have with our suppliers. The main purpose of Steeline is for members to have access to national supplier deals allowing the members to offer its quality product range at extremely competitive prices. Aussie Batteries & Solar are a proudly Australian company, specialising in living off the grid solar energy systems, Deep Cycle Batteries & Portable Solar Panels for camping. We believe in supplying the hardiest and most suitable products available, built to handle Australia’s harsh environmental conditions. We stock quality products that will last the distance, all backed above and beyond with our exceptional warranties & customer service. Our 12 Volt online shop focuses on deep cycle batteries, lithium smart off-grid system design, and accessories for camping such as portable fridge freezers, solar batteries & German SMA systems. We are experts in off-grid power solutions, with expert advice available if you need help selecting or customising a system. We also specialise in Lithium – off-grid systems to suit your solar needs. Our products are shipped Australia wide via a network of major couriers. Our off grid solar team are experts in designing off-grid power solutions, including small prefabricated battery banks and full off-grid solar setups. We have CEC accredited off grid installers Australia Wide who are experts with a proven history in setting up residential and remote off-grid solutions. Visit Aussie Batteries for more information on how you can start Living off the grid. Our family business has been selling, repairing and delivering white goods for over 20 years, and we have a huge selection of quality brands available at our store on the Sunshine Coast. Axis Surveys offer a broad range of Land Surveying services throughout SE Qld and across the border into northern NSW. Our experienced team can help you with any type of project big or small, however, we tend to specialise in small to medium jobs, and utilise a team of proven associated consultants to ensure all aspects of your project are planned and organised. Our experience in dealing with numerous small to medium projects since 1987 is working away in the background to ensure your job or project runs smoothly, and we do what we can to identify potential problems and to assist you in dealing with them. Please don’t hesitate to contact us to discuss your project. Initial consultations are free, with all our following work quoted and agreed to prior to commencement. Kawana Flooring Warehouse is located on the Sunshine Coast and distributes heavily discounted flooring to the public and building companies throughout Queensland. We are a family run business and have been servicing the coast since 1990. Bulk buying and low overheads enable us to supply quality flooring at the lowest prices available to the public, without sacrificing quality or service. We stock a large range of carpets, timber flooring and vinyl. Our huge range and low prices offer endless interior design options, so you always find a product that suits you. Customer satisfaction is our priority. JC Hire has been supplying Sunshine Coast tradies and home handymen alike with quality hire equipment and local knowledge for over 30 years. Starting with two staff members in a small garage in Nambour, JC hire has grown with the construction industry and now has 20 staff members, 3 branches at Nambour, Maroochydore and Kawana and over 1000 pieces of equipment supplying the Civil Construction, Building, Renovation, Landscaping and Home Handyman industries. Being a locally owned and operated business our main focus is on Customer service and reliable and up to date equipment which is proven by our 5 star guarantee. Our friendly and helpful team will go to any length to ensure the client receives the tool to get the project completed quickly and cost effectively. Lighting is crucial to the way we live, work and feel, which is why Beacon Lighting are passionate about helping customers live brighter with the right lighting choices. Since the first Beacon Lighting store opened in Melbourne in 1967, they’ve grown to become Australia’s leading lighting retailer with over 95 stores in Melbourne, Sydney, Canberra, Brisbane, Gold Coast, Perth, Adelaide, Hobart and major regional centres. And still, proudly Australian owned and operated.